Proceedings are available in PDF format here. 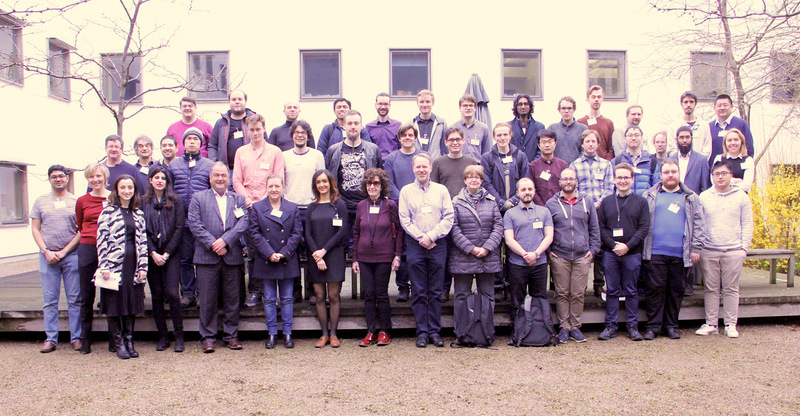 The 25th Automated Reasoning Workshop (ARW 2018) will take place at the University of Cambridge on 12-13 April 2018. The workshop provides an informal forum for the automated reasoning community to discuss recent work, new ideas and applications, and current trends. It aims to bring together researchers from all areas of automated reasoning in order to foster links among researchers from various disciplines; among theoreticians, implementers and users alike. The workshop will be highly interactive, giving all attendees an opportunity to participate. There will be sessions for displaying posters and open discussion sessions organised around specific topics such as “Automated Reasoning and Artificial Intelligence”. We invite the submission of camera-ready, two-page extended abstracts about recent work, work in progress, or a system description. The abstract can describe work that has already been published elsewhere. The main objective of the abstracts is to spread information about recent work in our community, and we expect to accept most on-topic submissions, but we may ask for revisions. The call for papers is available in plain text format. To prepare your submission, please use the ARW LaTeX style file provided from the workshop website. Each submission should include the names and complete addresses (including email) of all authors. For the final versions we require all sources (TeX file and any input files). Please send your submissions via EasyChair here. Each workshop participant will be asked to give a short talk (around 10 minutes depending on time constraints) to introduce their research. Each participant will also be allocated space in a poster session (please make your posters A1 size), where they can further present and discuss their work. Please prepare posters for the event. As software for mechanised proofs flourishes, we are about to enter the age of "Big Proof" (i.e. a Big Data stage of mechanised proof development). Large corpora of computer proofs, written in a range of programming languages, is already available on the Web. The question is: How much of Big Data technology is applicable in "Big Proof" domain? In this talk, I will give a comparative overview of several machine learning methods used to mine, analyse and understand the existing corpora of mechanised proofs, and to automate new proofs. I will use the Machine Learning for Proof General (ML4PG) tool for Demos. The story of Mike Gordon's scientific career is instructive. Mike conceived the radical idea of hardware verification in the late 70s, a surprising choice given the number of other new fields he could have joined. Mike talked to researchers in the systems side of his Department (at Edinburgh). With impressive method, he learned about hardware and designed a small microcoded computer. Then he investigated the problem of how to verify this computer. First he wanted to model behaviours using recursive domain equations. Then he opted for a CCS-like process calculus and implemented it on top of LCF. Finally he opted for higher-order logic, again a radical choice compared with the favoured alternatives of first-order logic and dependent type theory. Ultimately he realised his ambitions on a grand scale, with the verification of the ARM6 processor and landmark work on verifying assembly language code and proof-producing compilation. His foresight and boldness allowed him to transform the practices of verification and hardware design. The focus of the discussion will be on large-scale mathematical knowledge available in formalised libraries; In particular, on how these libraries can support sophisticated searches using natural language processing and information retrieval technologies. Amongst others, an important aim of developing sophisticated search tools is to provide automated support for construction of formal proofs, for example, by mining libraries for proof patterns and clustering lemmas based on the similarity of the proofs they are used in. This is a preliminary schedule subject to change. 16:30 Screening of a documentary about Bletchley Park. Finishing at 17:30. 19:00 Dinner (Clare College Old Court). Dinner is served at 19:00 so please arrive before 18:50. Tuning Natural Deduction Proof Search by Analytic Methods. an abstract of at most 2 pages following the formatting details on the submissions page. Recipients of grants are expected to present their work in the poster sessions. The abstracts will be published in the workshop notes. The ARW committee will review the applications. Preference will be given to those who would not otherwise have resources to attend the workshop, and whose attendance would benefit both the applicant and the workshop. Applicants who receive grants will be allowed to register at a reduced student registration rate. All applications should be sent to arw2018@easychair.org using ARW2018 Student Grant as the subject of the email. The deadline for applying for these grants is 1 March 2018. The workshop will take place in the Computer Laboratory (CL) at the Department of Computer Science and Technology (CST) on the West Cambridge site. Directions are available here. The dinner at Clare College will take place at 19:00 on the 12th of April. Please try to arrive before 18:50. The dining hall is in Old Court which is near Kings College Chapel. There are rooms around Cambridge and within colleges which you can book at the links below. We recommend that you book your accommodation as soon as possible due to limited availability. Information on how to get to Cambridge is available at the Visit Cambridge site here. Please email arw2018@easychair.org. The Computer Laboratory reception could also be of assistance.